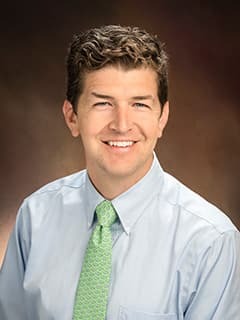 Conor Devine, MD, is a pediatric otolaryngology fellow in the Division of Otolaryngology (ENT) at Children's Hospital of Philadelphia. Bryson, P and Devine, C, Vocal Fold Injection in Sataloff’s Comprehensive Textbook of Otolaryngology: Head & Neck Surgery: Six Volume Set, Benninger/Laryngology volume, Jaypee Brothers, Medical Publishers Pvt. Limited, 2015. Devine CM. Rates of tube complications and replacements in syndromic vs non-syndromic pediatric patients. Poster presentation at: Triological Society Combined Sections Meeting; 2016; Miami Beach, FL. Devine CM. Laryngeal spindle cell rhabdomyosarcoma in an adult. Poster presentation at: Triological Society Combined Sections Meeting; 2016; Miami Beach, FL. Devine CM. Short-stay hospital admission after free tissue transfer for head and neck reconstruction. Poster presentation at: Combined Otolaryngology Spring Meetings,; 2015; Boston, MA. Devine CM. Value of audiogram after tube placement in low risk pediatric patients. Ppresented at: American Academy of Otolaryngology—Head and Neck Surgery Foundation 2015 Annual Meeting; 2015 Sep 27; Dallas, TX. Devine CM. Evaluating routine audiologic testing in patients with preauricular lesions” presented at The Society for Ear Nose and Throat Advances in Children Annual Meeting; 2015 Dec 6; San Antonio, TX. Devine CM. Surgical vs medical intervention for Meniere’s disease. Grand Rounds. Presented at: Cleveland Clinic Foundation; 2015 Jan 7; Cleveland, OH. Devine CM. Management of cleft lip and palate. Grand Rounds. Presented at: Cleveland Clinic Foundation; 2015 May 14; Cleveland, OH.